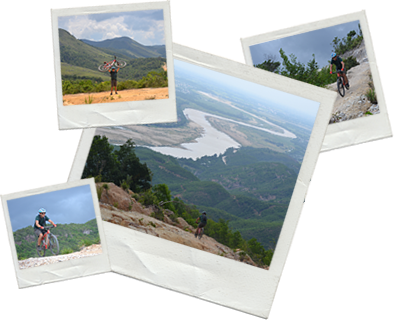 If you are athletic, enjoy cycling, and love nature, then join us for a Mountain Bike outing on our local trails and paths across the Vietnamese countryside. 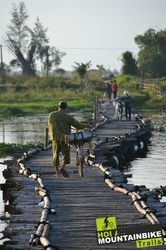 Spend a half-day riding through postcard perfect scenery, across Bamboo bridges and more. Ready for adventure? 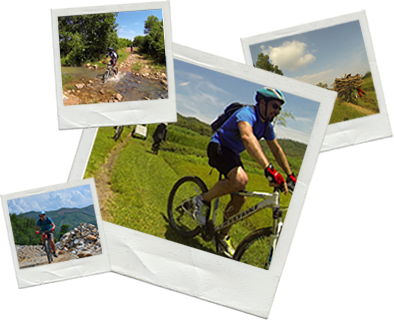 Then join us for an unforgettable day of mountain biking. 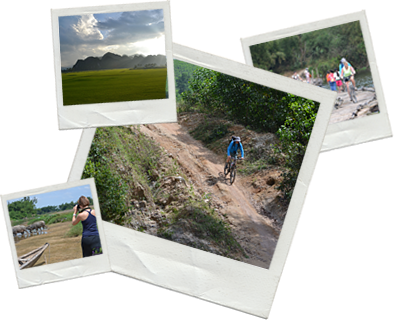 Let us guide you through undiscovered sites off the beaten track. 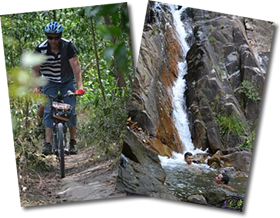 Cross rice fields, follow forest roads in the hillsides, cross incredible bridges. Discover the local hospitality during a meal in a local tavern. Take a refreshing break in the middle of the forest at a stream of clear, mountain spring water at the foot of the mountains. 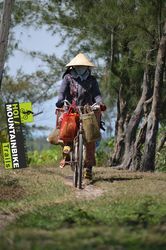 Set off for a day that will mark your stay in Vietnam!